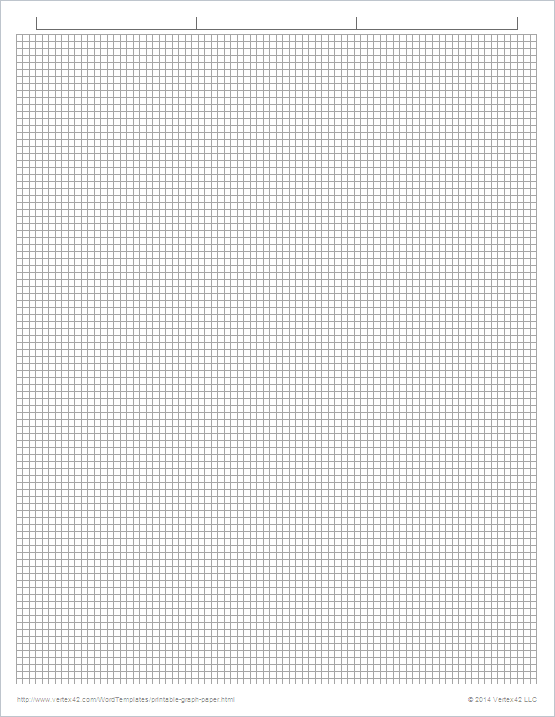 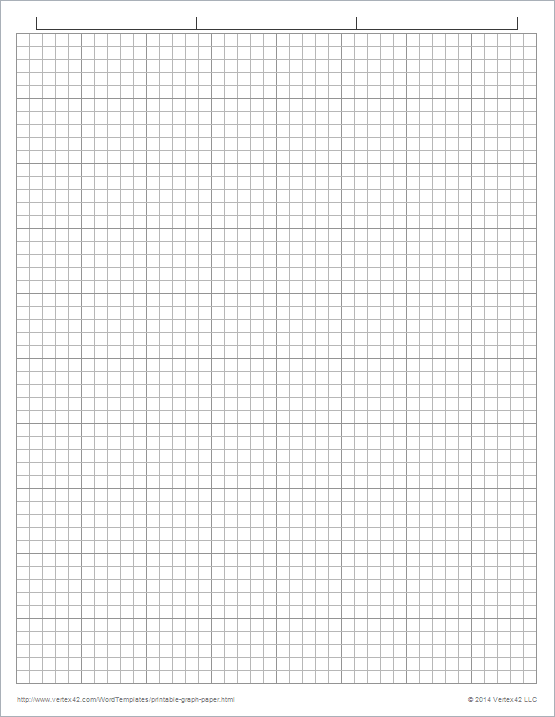 Download free printable graph paper for Microsoft Word® or PDF. 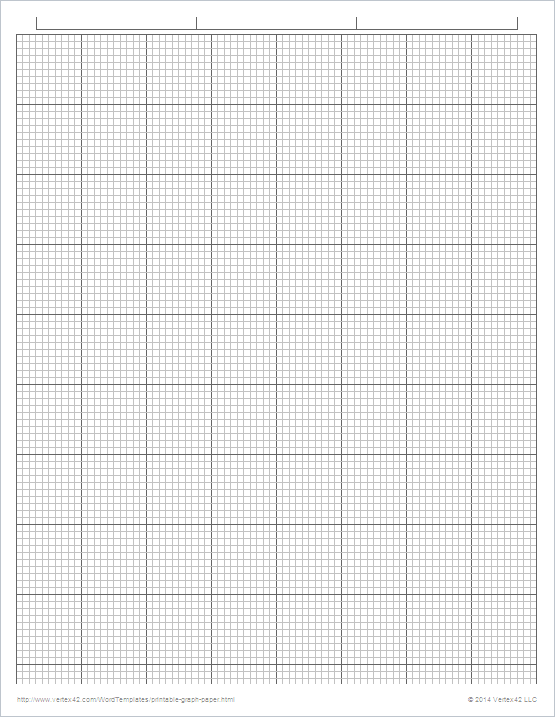 This new set of printable graph paper grids is designed to use nearly the entire piece of 8 1/2 x 11 inch paper. 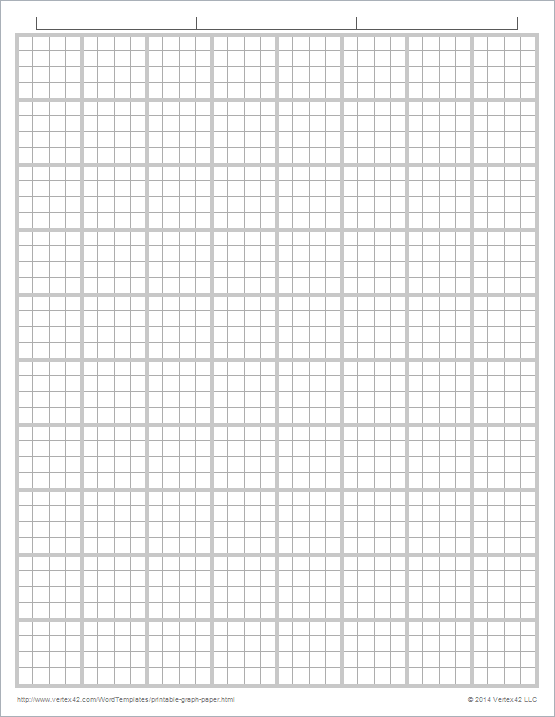 In addition to the typical 1/4 inch and 1/5 inch grids, I've created a 1/10 inch grid and also two new variations that show the 1 inch major grid as a heavier weighted line. 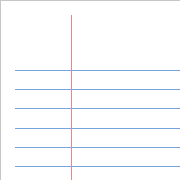 Download the files as printable PDFs or Word templates. 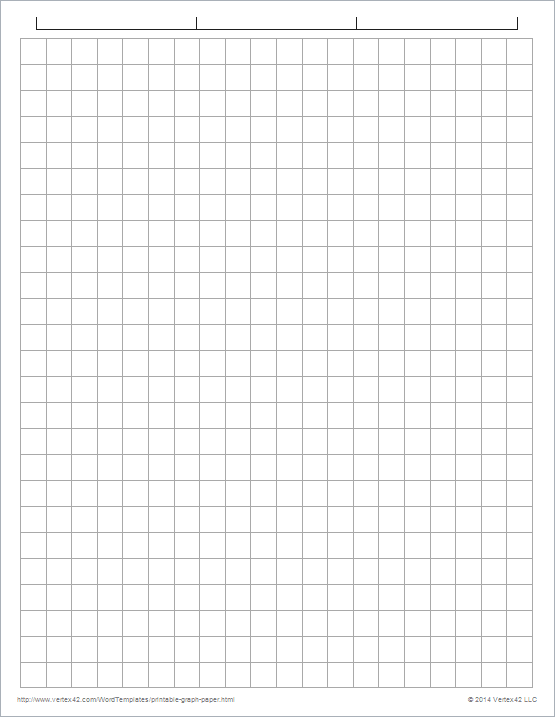 Also check out our printable lined paper. 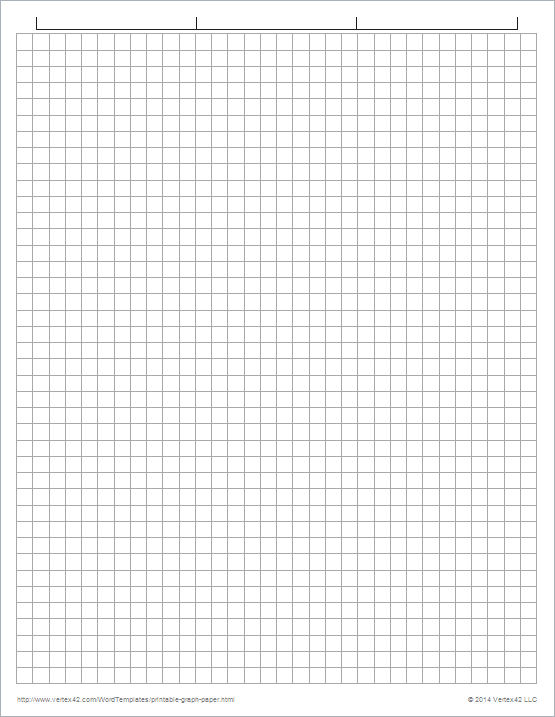 License: Private Use Only (applies to all the files listed on this page). Note: Engineering paper commonly uses a 1/5" rule with a weighted 1" grid. 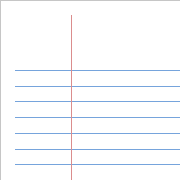 All of the above graph paper templates for Word are theme-enabled .docx files, meaning that you can change the color of the grid by going to Page Layout > Themes > Colors. 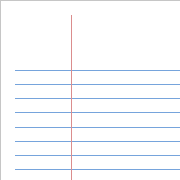 I've saved these all using a custom medium gray theme because color printing is often more expensive. 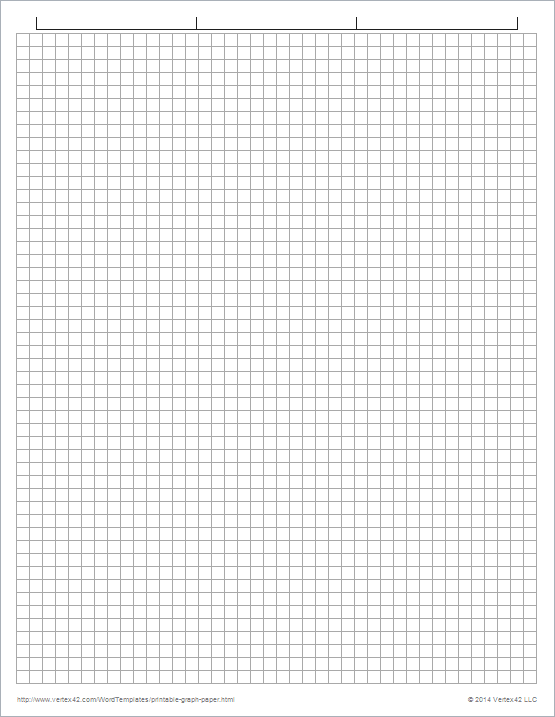 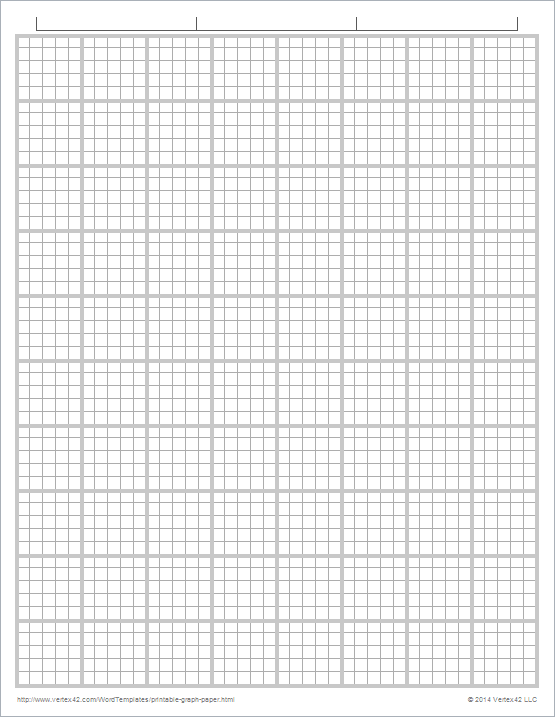 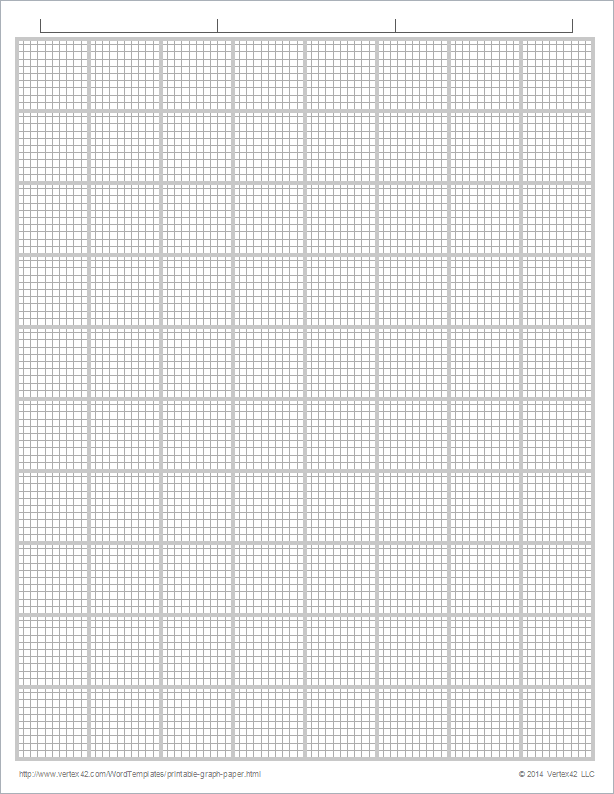 Graph Paper Template for Excel - Excel isn't very good at printing grids to exact dimensions, but it is easy to create a grid in Excel to use as an electronic drawing canvas.